As of circa June 1874,her married name was Rolf. Her married name was Purdy. Death Record for "Mrs. Laura Evens Purdy", born 28Sep1848 NY. Death Record lists father as Joe Gioens, who was born in New York. Died of Chronic Myocarditis with Dilation, Senility, Arterial Scherosis. Following from The Red Wing Daily Republican Newspaper, page 8 column 2, 01May1930 (Thursday). Mrs. O.W. Purdy, resident here 35 years, dies. Laura Etta Givinger Purdy, a resident of this city for about 35 years, died Wednesday evening at about 6:20 o'clock at her home, 602 Plum street, death following a long illness with infirmities of old age. Mrs. Purdy was born at Dryden, Tompkins county, N.Y., Sept. 25, 1844. She was united in marriage to Oscar Rolf in June, 1874. The couple took up their residence in Nebraska in 1887 and moved to Featherstone, where they located on a farm, 1895. Mr. Rolf died that year and his widow removed to Red Wing, which since remained her home. She was married to the late O.W. Purdy in 1900. He died about 15 years ago. One step-daughter, Mrs. Charles Lanning, Trumbersberg, N.Y., and a niece, Mrs. J.E. Hemblin, New York City, survive. The deceased was a member of the Christian Science church. Funeral services will be held tomorrow afternoon at 2:30 o'clock at A. Swanson's Sons' chapel. [S496] Laura Etta Rolfe entry, SOURCE: Goodhue Co , MN Death Record, Book 6, page 18, line 61, Goodhue County Courthouse, Red Wing, Goodhue Co., Minnesota. Edgar Brewer was born circa 1832.1 He was the son of Col. Henry Brewer and Rebecca DuBois. Edgar Brewer married Julia Josephine Purdy, daughter of David Purdy and Elizabeth Ann Hopkins, circa 19 December? Edgar Brewer died on 11 March 1903 at Ithaca, Tompkins Co., New York.1 He was buried at Grove Cemetery, Trumansburg, Tompkins Co., New York. Mary Rosetta Sellon was born circa 1835.1 She was the daughter of John Sellon and Sarah Roberts. Mary Rosetta Sellon married John Willets Purdy, son of David Purdy and Elizabeth Ann Hopkins, on 14 May 1856.1 Mary Rosetta Sellon died on 1 October 1909 at Reading Center, Schuyler Co., New York.1 She was buried at New Reading Cemetery, Schuyler Co., New York. Her married name was Purdy. Died at age of 74yrs. Eron Curry Vankirk was born on 23 June 1836 at New York.1 He married Henrietta Purdy, daughter of David Purdy and Elizabeth Ann Hopkins, on 5 November 1857 at New York. Eron Curry Vankirk died on 16 July 1901 at Tompkins Co., New York, at age 65.1 He was buried at City Cemetery, Ithaca, Tompkins Co., New York; Plot: g-103-104-5. Ithaca, July 17 – Eron C. Van Kirk, recorder of the city, died yesterday from Bright's disease. He had been sheriff of Tompkins county and postmaster of Ithaca and had been recorder eight years. He was 65 years old. Mary Purdy was born on 24 September 1839.2 She was the daughter of Ebenezer Purdy and Sarah Ann DuBois. Mary Purdy married John B. Kelsey, son of Thomas Kelsey and Clarissa Hamilton. Mary Purdy died on 24 November 1898 at Red Wing, Goodhue Co., Minnesota, at age 59.2 She was buried at Old City Cemetery, Ithaca, Tompkins Co., New York. Mary Purdy was a Bright's Disease (Bright's disease is an obsolete classification for nephritis, a kidney condition.) Her married name was Kelsy. Her married name was Kelsey. In 1871, John & Mary Kelsey sold land in Ithaca, NY, moved to Iowa. [S498] Mary Purdy entry, SOURCE: Goodhue Co , MN Death Records, Book 3, page 258, line 28, Goodhue County Courthouse, Red Wing, Goodhue Co., Minnesota. Adrian D. (Dana) Purdy was born on 7 June 1845 at Tompkins Co., New York.1 He was the son of Ebenezer Purdy and Sarah Ann DuBois. Adrian D. (Dana) Purdy died on 15 October 1867 at age 22.1 He was buried at Old City Cemetery, Ithaca, Tompkins Co., New York; Plot: h-17-5. [S499] Paul Bradley Purdy, A branch of the Purdy family descending from David and Eliza Ann Purdy with David's line from Francis Purdy of Fairfield 1595-1658, pg 18 (n.p. : n.pub., c1962). Hereinafter cited as The David Purdy Family. William H. Purdy was born on 16 August 1854.1 He was the son of Ebenezer Purdy and Sarah Ann DuBois. William H. Purdy died on 16 January 1856 at age 1.1 He was buried at Old City Cemetery, Ithaca, Tompkins Co., New York. John B. Kelsey was born circa 1838 at Tompkins Co., New York.1 He was the son of Thomas Kelsey and Clarissa Hamilton. John B. Kelsey married Mary Purdy, daughter of Ebenezer Purdy and Sarah Ann DuBois. Sarah Elizabeth Purdy was born on 26 April 1844 at Tompkins Co., New York.1 She was the daughter of Emery (or Emory) Purdy and Frances Caroline Monell. Sarah Elizabeth Purdy married Alpheus Alfred Curry on 26 March 1863 at Tompkins Co., New York. Sarah Elizabeth Purdy died on 13 January 1917 at Owego, Tioga Co., New York, at age 72; Find A Grave Memorial# 39527648.1 She was buried at Ithaca City Cemetery, Ithaca, Tompkins Co., New York; Find A Grave Memorial# 39527648. Plot: d-54-? Note: name does not appear in cemetery records - grave is behind Frances Monell. Her married name was Curry. [S500] Paul Bradley Purdy, A branch of the Purdy family descending from David and Eliza Ann Purdy with David's line from Francis Purdy of Fairfield 1595-1658, pg 20 (n.p. : n.pub., c1962). Hereinafter cited as The David Purdy Family. Alpheus Alfred Curry was born on 29 December 1834 at Enfield, Tompkins Co., New York. He married Sarah Elizabeth Purdy, daughter of Emery (or Emory) Purdy and Frances Caroline Monell, on 26 March 1863 at Tompkins Co., New York. Alpheus Alfred Curry died on 15 August 1868 at Red Wing, Goodhue Co., Minnesota, at age 33. Census 1870 Red Wing, Goodhue Co., Minnesota, page 392, age 14. Census 1 May 1875 Red Wing, Goodhue Co., Minnesota, pg 761. Her married name was Hopkins. As of 21 May 1884,her married name was Purdy. Her married name was Featherstone. The cause of death was a brain tumor. Grave has the name Carrie, June 20, 1865 to Sept 4, 1918. Following obituary from Red Wing Daily Republican, 4Sep1918, pg 5, col. 1. The sad news was received today of the death of Mrs. Grant Featherstone of Featherstone township, which occurred at Mounds hospital, St. Paul, this morning following an operation for brain tumor. Following from The Red Wing Daily Republican Newspaper, page 2 column 1, 5Sep1918 (Thursday). The funeral of the late Mrs. Grant Featherstone, whose death occurred at Mounds hospital, St. Paul, Wednesday morning following an operation for tumor of the brain, will be held Friday afternoon at 1:30 o'clock from Swanson's Sons' undertaking rooms and at 2 o'clock at the First Methodist church. Rev. J.E. Bowes will officiate. He will be assisted by Rev. G.A. Sahoon. Internment will be at Hope cemetery, Featherstone. The funeral will be by automobile. The deceased was a resident of Featherstone for many years. She was born in New York state 53 years ago. When a girl she came to Wisconsin and late settled in Goodhue. The deceased was unconscious twenty-four hours before her operation and never rallied. [S502] SOURCE: Goodhue Co , MN, Marriage Records, Vol 11, page 188, Goodhue County Courthouse, Red Wing, Goodhue Co., Minnesota. [S503] Unknown article title, OBITUARY: Red Wing Daily Republican, 05Sep1918, 2:1, Red Wing, Minnesota, 05 Sep 1918, 2. Hereinafter cited as RWDR. Grant Featherstone was born on 13 May 1864.2 He married Caroline Purdy, daughter of Oliver Wood Purdy and Amanda C. Marvin, on 15 November 1888 at Featherstone, Goodhue Co., Minnesota.3 Grant Featherstone married Ora Maria Featherstone, daughter of William Featherstone and Helen Leavitt, on 26 January 1922 at Red Wing, Goodhue Co., Minnesota. Grant Featherstone died on 11 December 1928 at Red Wing, Goodhue Co., Minnesota, at age 64.2 He was buried at Hope Cemetery, Featherstone Twsp., Goodhue Co., Minnesota. Married his cousin, Ora. Grave has dates on May 13, 1864 to Dec 11, 1928. [S504] SOURCE: Goodhue Co , MN Marriage Records, Vol 11, page 188, Goodhue County Courthouse, Red Wing, Goodhue Co., Minnesota. [S505] Ora Maria Featherstone cemetery marker; unknown reader. William E. Brewer was born on 30 May 1856 at New York.1 He was the son of Edgar Brewer and Julia Josephine Purdy. William E. Brewer married Jennie Louise Jackson on 19 December 1879. William E. Brewer died on 14 July 1920 at age 64.1 He was buried at Lakeview Cemetery, Ithaca, Tompkins Co., New York. Jennie Louise Jackson was born on 14 January 1860 at New York.1 She married William E. Brewer, son of Edgar Brewer and Julia Josephine Purdy, on 19 December 1879. Jennie Louise Jackson died on 19 May 1939 at age 79.1 She was buried at Lakeville Cemetery, Ithaca, Tompkins Co., New York. Charles Brewer was born abt 1859-1860.1 He was the son of Edgar Brewer and Julia Josephine Purdy. Henrietta E. Brewer was born circa 1866.1 She was the daughter of Edgar Brewer and Julia Josephine Purdy. 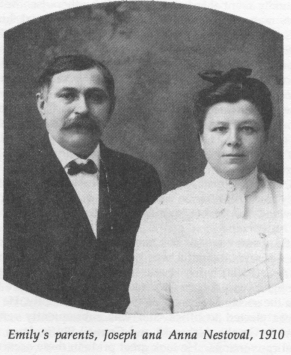 Henrietta E. Brewer married Fred Hopkins in 1893 at Ithaca, Tompkins Co., New York. Henrietta E. Brewer married Charles Brookman on 31 December 1902 at Ithaca, Tompkins Co., New York. Henrietta E. Brewer married Dr. Fred Morgan at Enfield, Tompkins Co., New York. Henrietta E. Brewer also went by the name of Nettie. As of 1893,her married name was Hopkins. As of 31 December 1902,her married name was Brookman. Her married name was Morgan. [S506] Paul Bradley Purdy, A branch of the Purdy family descending from David and Eliza Ann Purdy with David's line from Francis Purdy of Fairfield 1595-1658, pg 27-28 (n.p. : n.pub., c1962). Hereinafter cited as The David Purdy Family. Dr. Fred Morgan married Henrietta E. Brewer, daughter of Edgar Brewer and Julia Josephine Purdy, at Enfield, Tompkins Co., New York. Charles Brookman was born at Caton City, Steuben Co., New York.2 He married Henrietta E. Brewer, daughter of Edgar Brewer and Julia Josephine Purdy, on 31 December 1902 at Ithaca, Tompkins Co., New York. [S507] Marriage lic dated 31Dec1902, were mar'd on Sunday,probably next wk, unknown repository, unknown repository address. He was graduated in 1894 at Cornell University, Ithaca, Tompkins Co., New York, with a Degree in Mechanical Engineering. Alice Flannigan died at Ocean City, Virginia. She married Henry Brewer II, son of Edgar Brewer and Julia Josephine Purdy, at Seneca Falls, Seneca Co., New York. Her married name was Brewer. >>> Not find Ocean City, VA in Gazetteer. He lived in 1976 at Flint, Genesee Co., Michigan. [S508] Robert Bradley Purdy, unknown file number, Social Security Death Index (b- 10Sep1916 d- Sep1985 MI), unknown series (n.p. : n.pub.). He lived in September 1924; Lived in Minneapolis, Minnesota in Sep 1924. He lived in 1929 at 5017 York Ave., South, Minneapolis, Hennepin Co., Minnesota. Joseph Nestaval was a Catholic. Mrs. Frank M. Kaisersatt attended the funeral of her father, Joseph Nestaval, on Wednesday last, who died at the family residence at 5017 York Avenue, S., Minneapolis, Monday, Jan. 14, at 1 o'clock p.m., being at the time of his death 78 years and 15 days of age. Mr. Kaisersatt who is now temporarily employed in St. Paul, and daughter, Harriett, who is employed in Minneapolis, joined Mrs. Kaisersatt at the family home to attend the funeral which was held from the family residence and services were conducted at the St. Lawrence Catholic church of which the deceased was a member and where Rev. J. P. Cleary officiated at high requiem mass. Gill Brothers of Minneapolis, funeral directors, conducted the funeral, and interment was made in the family lot in Sunset Memorial Park. The pall bearers were his sons-in-law, assisted by Edward Perlich, a relative, of Minneapolis. Joseph Nestaval was born in Budejovice, Bohemia, now the Czech-Slovak republic, on Dec. 30th, 1850, and when a lad of fifteen he emigrated to this country settling on the farm near Montgomery, which he owned to the time of his death, and on which he lived all his life except for a period of twelve years when the family lived in Seaforth, Redwood county, Minn., and the last six years, having lived in Minneapolis. Ever since he moved to Minneapolis and up to within six months of his death, Mr. Nestaval was in the employ of the city park board of the city of Minneapolis. In 1875 Mr. Nestaval married Anna Nemec of Montgomery; who died seven years later, leaving a son Frank. Later Mr. Nestaval, married Anna Factor of the Montgomery community, who together with six daughters (Mrs. F.M. Kaisersatt, of Faribault, Mrs. Thos. C. Skluzacek, of Lonsdale, Mrs. Franklin Kerr, of Cleveland, Ohio, and Mrs. S. C. Gale, Mrs. J. H. Evans and Miss Beatrice Nestaval, of Minneapolis), two sons (Edward J. Nestaval, of Pasadena, Calif.) and five grandchildren survive him, including Harriett Kaisersatt, Faribault, Vivian and Stella Skluzacek of Lonsdale. He was preceded in death by his son Frank from the first marriage, and by two of his daughters, Anna Eleanor Kaisersatt, and Mary, from the second marriage. In the 1920 Minnesota Census, LeSueur Co., Montgomery township, E.D. 76, sheet 2, which was enumerated on 7-8 January 1920, Joseph Nestaval listed with his wife Anna, daughter Genieve, and son Edward. The census stated that Joseph immigrated to the US in 1871, becoming a naturalized citizen in 1878. Joseph was listed as a farmer. In the census, his wife Anna, listed as born in Illinois, and her parents born in Bohemia. Census 12 June 1895 Montgomery, Le Sueur Co., Minnesota, listed as 43 years old. Jaroslav (Jerry) Nestaval b. 22 May 1889, d. c 1907? [S510] Joseph Nestaval entry, SOURCE: Mpls, MN Death Index Cards (FHL 1498983, Vol 161, pg 293), Family History Library:, 35 North West Temple St., Salt Lake City, Salt Lake Co., Utah. [S509] Unknown article title, OBITUARY: Faribault Daily News 21Jan1929, Faribault, Minnesota, 21 Jan 1929. Hereinafter cited as FDN.